Canadians are eating less meat, new studies show, and the dietary trend is playing out in restaurants according to food columnist Andrew Coppolino. There's a new reason to ask, "where's the beef?" The results of a recent study undertaken by the University of Guelph and Dalhousie University show that Canadians are reducing the meat in their diet—and restaurants are responding. The online survey conducted September, 2018, examined Canadian attitudes toward meat and plant-based protein alternatives. Dalhousie University Faculty of Management professor Sylvain Charlebois was the study's primary investigator, and he and his colleagues, Simon Somogyi of the University of Guelph and Janet Music of Dalhousie, found that people restrict meat in their diet because of concerns for health, animal welfare and the environment. The numbers are revealing. While 82 per cent of Canadians said they eat meat, the study also showed that 6.4 million of us have reduced or eliminated meat consumption. Women are more likely than men to limit or eliminate their meat intake and more likely to replace it with other proteins. Ontarians are most likely to already be eating less meat, according to the survey. Atlantic Canada less likely. Age plays a role: 63 percent of respondents describing themselves as vegans were under age 38. Restaurants, both national chains and independents, have certainly noticed their customers' interest in eating more plant-based food and less meat. The success of A&W's "Beyond Meat" plant-based "hamburger" meant that it sold out quickly, and this past summer, Beyond Meat was in fact outselling its popular Teenburger. 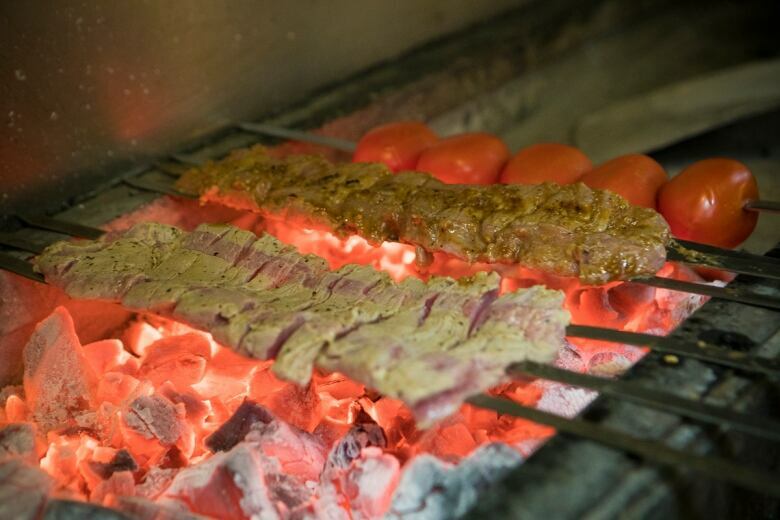 Torsh Kebab is the main dish served at Pars Grill in Vaughan, Ont. Whether quick-service or upscale casual, restaurant menus have traditionally been heavily weighted in favour of carnivore eating; however, more restaurants now offer more vegetarian and vegan dishes. If they don't, the kitchen can usually adapt the existing dishes quite easily. A restaurant's decision to offer more plant-based dishes has been supported by increasing beef prices over the past few years. As an example, Fat Sparrow restaurateur Nick Benninger offers a three-course vegan prix-fixe menu on Tuesdays at Marbles in Waterloo. He says it's one of the restaurant's busiest nights. "We have been making a real effort to be more plant-based, and many restaurants are trying to be a bit more mindful of trends, the environmental impact and food costs. Even in our diets at home, we've found ourselves putting more veggies at the centre of the plate," said Benninger. While vegetarians don't eat meat, vegans abstain from eating or using all animal products including milk, cheese and other dairy items, as well as eggs, honey, wool, silk and leather. It's a lifestyle decision based on health, ethics and environmental factors. 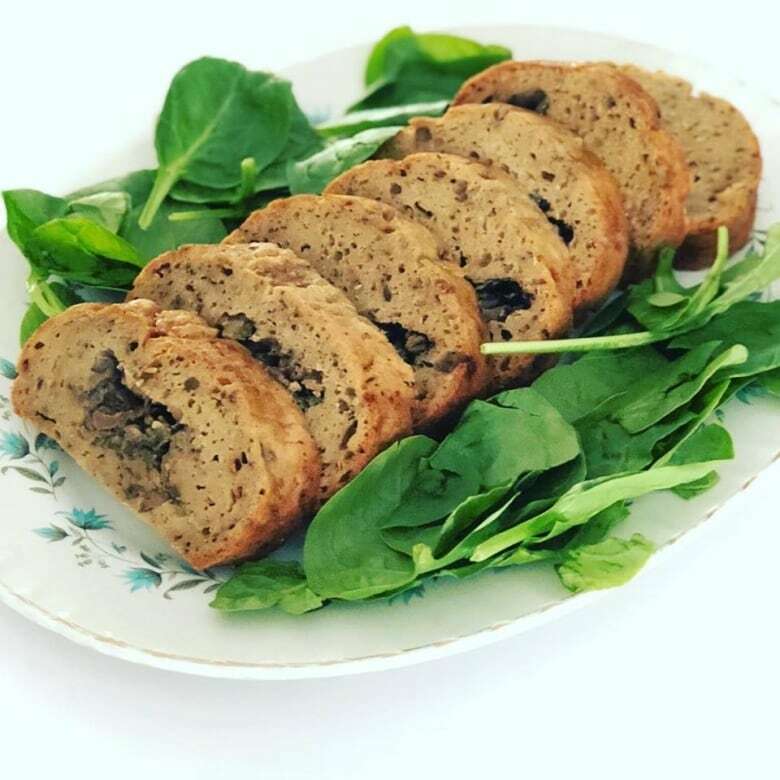 Plant-based vegans try to eat mostly whole and unprocessed foods such as fruit, vegetables, beans and legumes, but there are varieties of vegan: raw vegans, paleo-vegans and gluten-free vegans. There is even a vegan "junk food" subculture who eat mostly processed foods such as pizza, mac-and-cheese and brownies that have been "veganized." 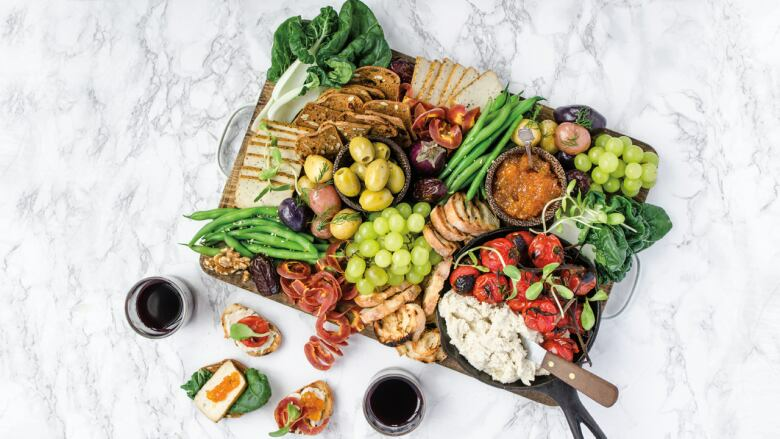 Regardless of whether it is a restaurant, a grocery store or a food manufacturer, the interest in a plant-based diet is a growing one among Canadians and the food and beverage sector is responding. "No matter where you are or who you are, you have to eat and we are seeing more and more changes in the way people eat in Canada," said Somogyi. "By 2050, there will be more than 10 billion people on the planet, and while people will still be eating animal protein, plant-based proteins that are more sustainably produced are a creditable alternative." Boon Burger:"burgers" but Peace-za with "cheeze" and "bacun"
Café Pyrus: vegetarian and vegan; try the Big Bang vegan fried "chicken burger"
Yeti Café: veggie options and a vegan BLT with coconut "bacon"
Panago Pizza: includes meat-free pepperoni and daiya "cheeze"
Planet Diner: "where herbivores can bring their carnivores"
Grounded Vegan Café: "For yourself. For the earth. For the animals."